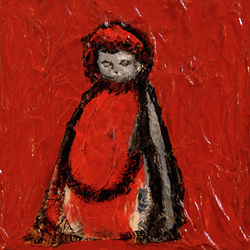 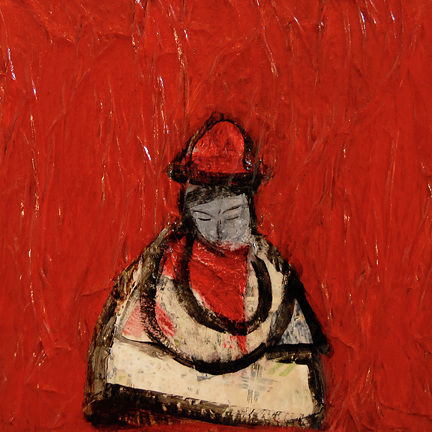 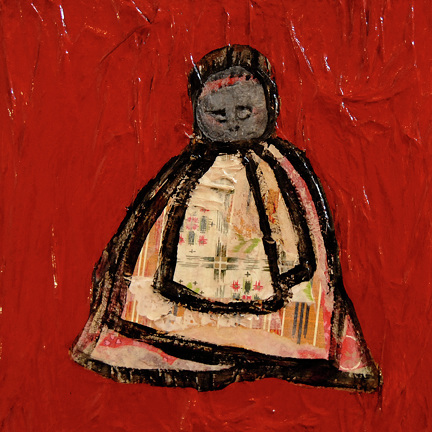 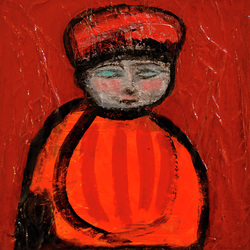 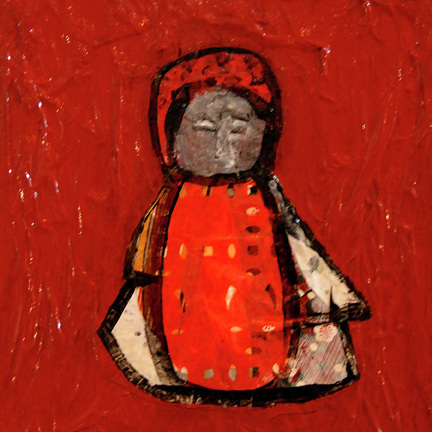 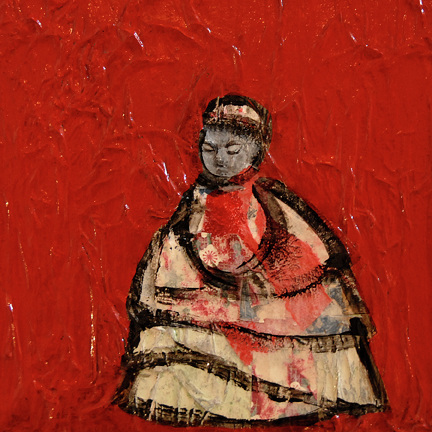 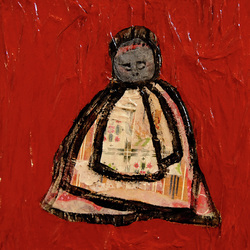 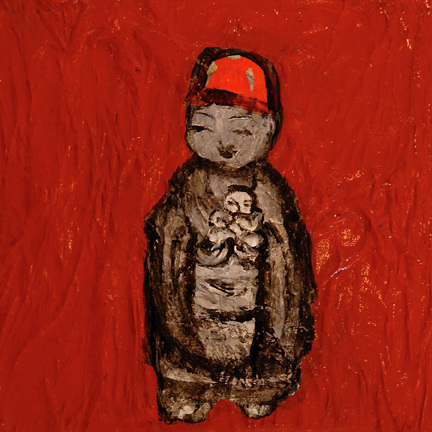 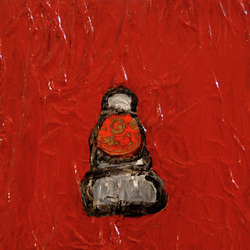 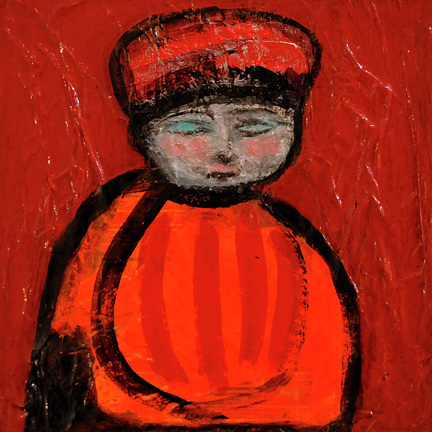 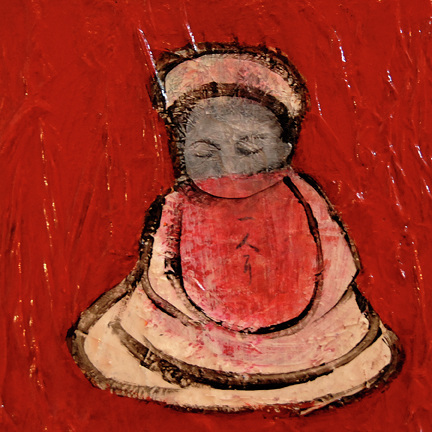 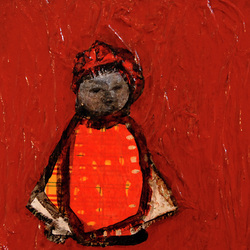 2010 mixed media painting, 10" x 10"
Water Baby is based on the mizuko jizo (lterally, "water baby" bodhisattva) statues I saw in the Buddhist temples in Suma and Mt. Koya this summer. 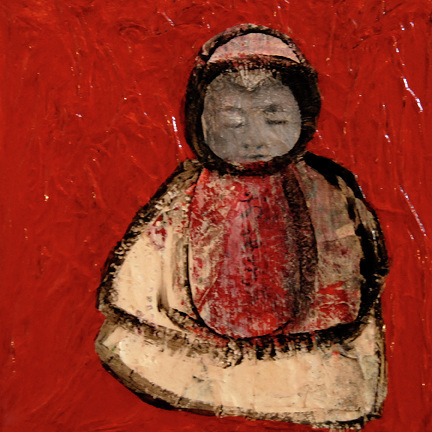 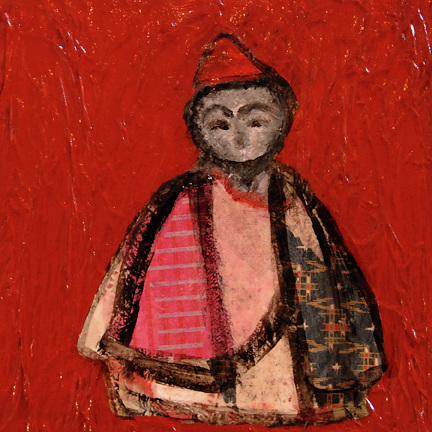 Jizos represent the bodhisattva Ksitigarbha, known in Japan as the guardian of children who died before their parents. 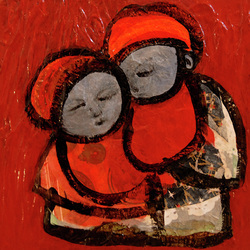 They are associated with guarding the souls of unborn children - children lost to miscarriage or abortion. 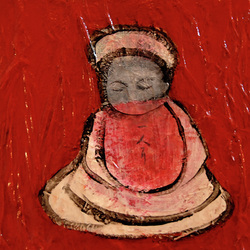 With abortions being commonplace, money is donated anonymously for their statues by women to ease their guilt. 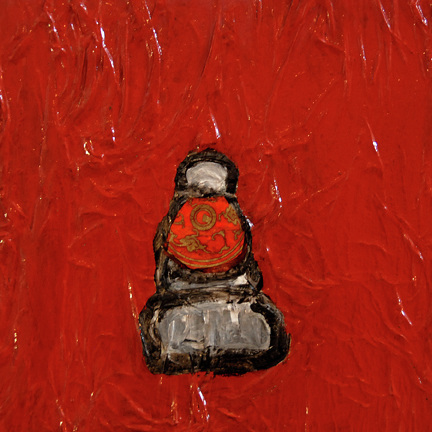 The stone babies are arranged in tight clusters near the temple or along the graveyard path leading to the temple. The stone sculptures can be representational or abstract, and are often clothed in layers of bibs in crocheted caps. 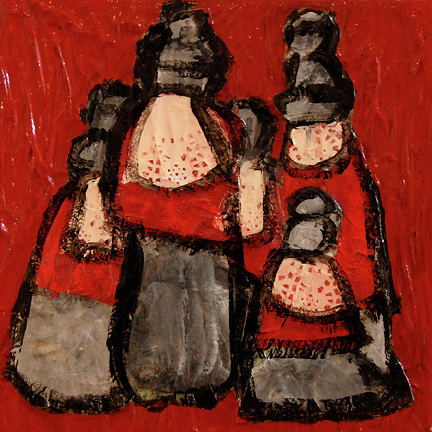 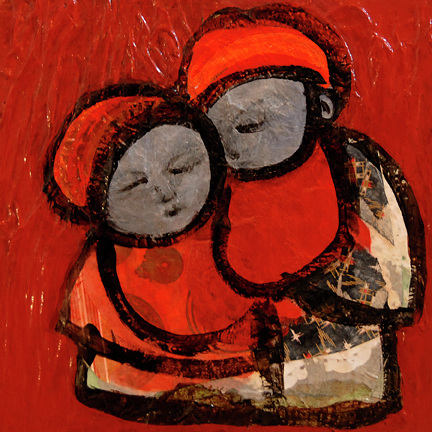 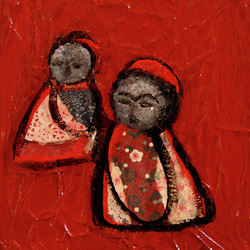 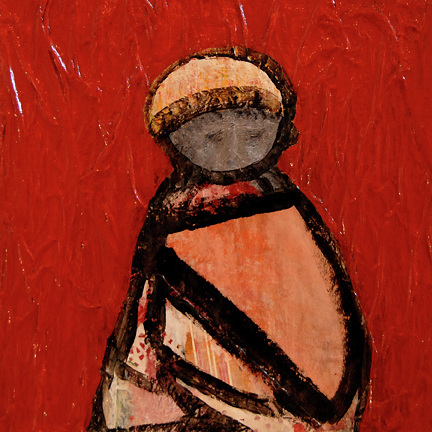 I tried to capture the pathos of both the anonymous women and their lost babies in this work.